If you would like to search by your specific zip code, click below to see the US National Arboretum’s Interactive Search. This map has specific geographic zones based on average annual minimum temperature. The USDA Hardiness Zone Map divides North America into 13 seperate zones; each zone is 10'F warmer (or colder) in an average winter than the adjacent zone. 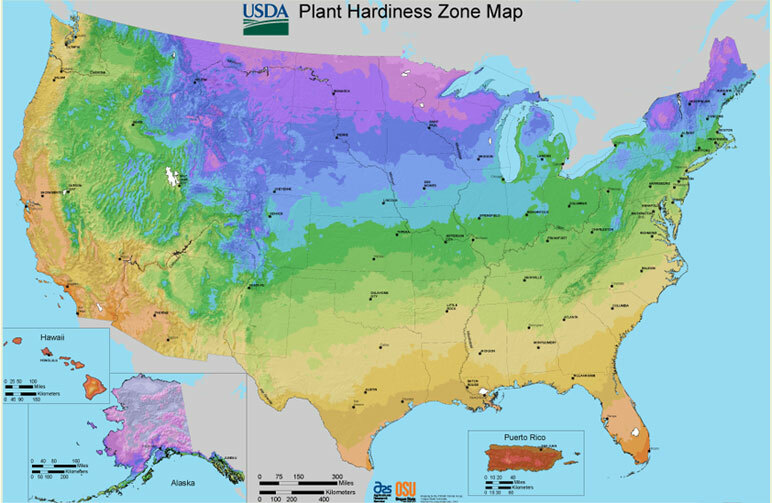 If you see a hardiness zone in a catalog or plant description, chances are it refers to the USDA map.